^ Cram, Paul (1948). "Western Europe". In William L. Langer. Encyclopedia of World History (revised ed.). Cambridge: Riverside Press. p. 270. ^ Heales, Alfred (1899). The Records of Merton Priory. p.��299. ISBN 9781372671647. ^ Francois R. Velde. "Marks of Cadency in the British Royal Family". Heraldica.org. Retrieved 2012-08-17. Cheetham, A. (2000-11-01). Antonia Fraser, ed. 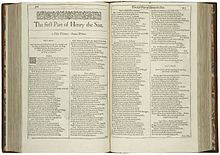 The Wars of the Roses. University of California Press. ISBN 978-0-520-22802-3. Kingsford, C. (1911). 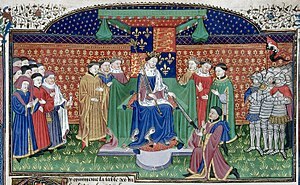 "Henry VI (1421–1471)" . In Hugh Chisholm. Encyclopædia Britannica 11th ed. 13. Cambridge University Press. Tout, T. (1891). 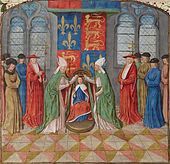 "Henry VI (1421–1471)" . In Lee, Sidney. Dictionary of National Biography. 26. London: Smith, Elder & Co.
Wolffe, B. (2001-06-10). 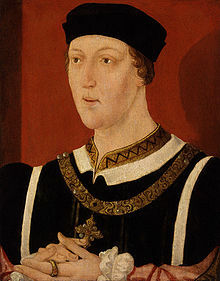 Henry VI. 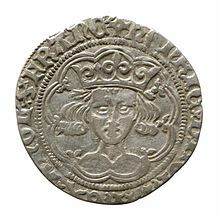 Yale English Monarchs series. Yale University Press. ISBN 978-0-300-08926-4.